I'm not sure if it's because my mother-in-law is English, or what, but my husband's family are vinegar fanatics! And now, my boys have turned into vinegar fanatics. I have to say I've never minded vinegar, but I think that's just because I was used to plain old white distilled vinegar. Well, let me tell you, (and most of you probably already know this) there is a whole vinegar world beyond distilled white! I still remember when my husband introduced me to balsamic vinegar. I was hesitant, and didn't think I'd like it, but after one taste, I was hooked! Several other vinegars followed, and then my sister-in-law brought this basil and oregano rice vinegar to Sunday dinner once upon a time. It was another amazing vinegar discovery! I could not believe the flavor!! 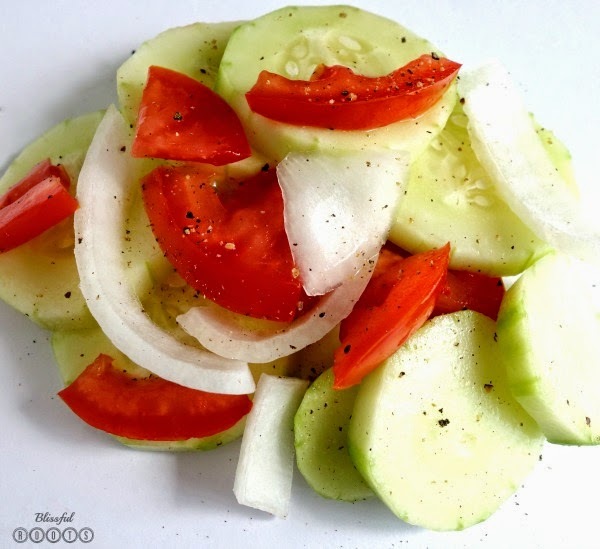 She had put it on cucumbers, onions, and tomatoes, and it was a hit. Such a hit, in fact, that when she brought it a few Sundays ago, the entire bowl was practically gone before dinner even started. Grown ups love it, kids love, everyone loves it! So, let me introduce you to Nakano's Basil & Oregano Seasoned Rice Vinegar. It's been my new best friend for quite sometime now. It's fairly easy to find, but this last time I had to hunt a bit for it. 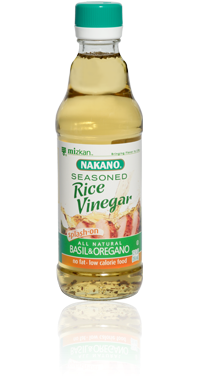 I always find Nakano's Rice Vinegar in the grocery store, but sometimes the basil & oregano is harder to find than others. But trust me, it's worth the hunt! I have this vinegar on hand just about constantly, but especially during the summer months when we're eating a lot of veggies. The absolute best is when harvest time rolls around and you can drizzle this on your home-grown cucumbers, tomatoes, and onions. YUM! That's it. 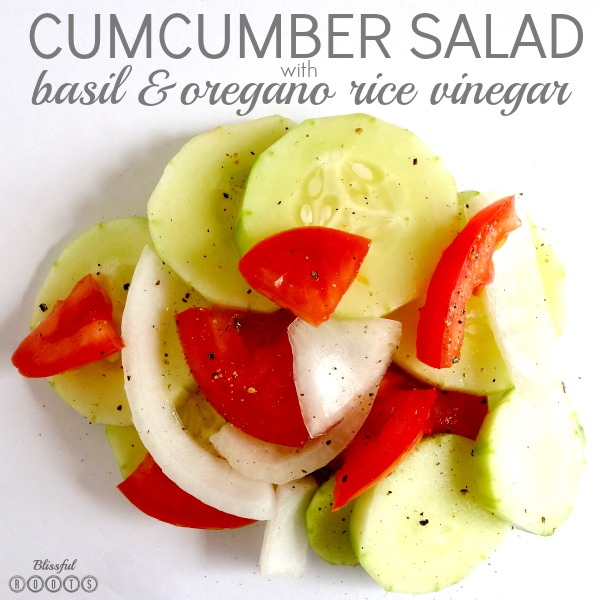 Just put the cut veggies in a bowl, and drizzle with the vinegar, then toss. Start with a little, and then add more as desired. I like to add about half of the bottle for a salad that would feed my whole family. You can serve immediately, or allow to chill in the fridge. It's honestly our favorite healthy summer side dish, or even snack. My boys will devour this when they have those snack time munchies. This is so much healthy food. Thanks for shearing. Healthy recipe. Thanks for sharing the mouth watering recipe.